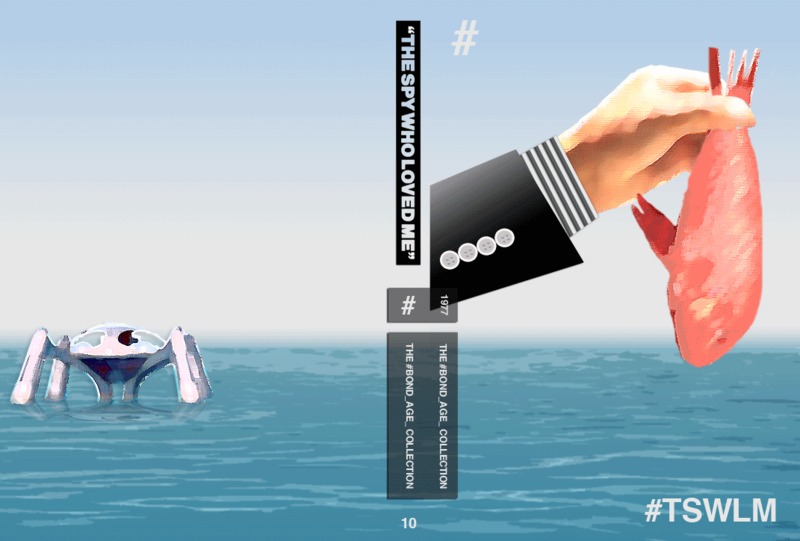 I wanted to make The Spy Who Loved Me #Bond_age_ Collection Custom DVD cover to be a little more stylized than the others. To add to this effect I created the tuxedo sleeve and pinstripe shirt using some simple shapes and angles and pieced together a couple found images of the hand and the fish. I layered a couple of different water images and added some textural layers exactly as I’d done to create the sketch-like version of Atlantis… topping it all off with a nice film grain for that always popular 70’s film stock glow. I never thought I’d analyze a paused frame of a movie for so long just to get the appearance of the fish right. It’s meticulous, I assure you.